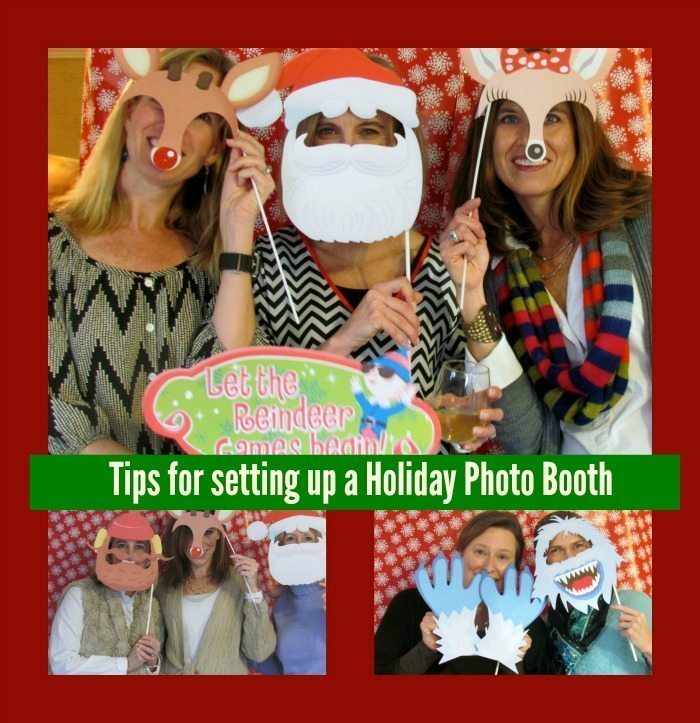 This post about tips for a holiday party photo booth is sponsored by Hallmark. All opinions are 100% our own. Who does not love the story of Rudolph the Red-Nosed Reindeer? Can you believe they are celebrating their 50th Anniversary of that movie? Hallmark has decided to share along in this celebration and create some amazing products to get you celebrating this sweet Reindeer’s anniversary. 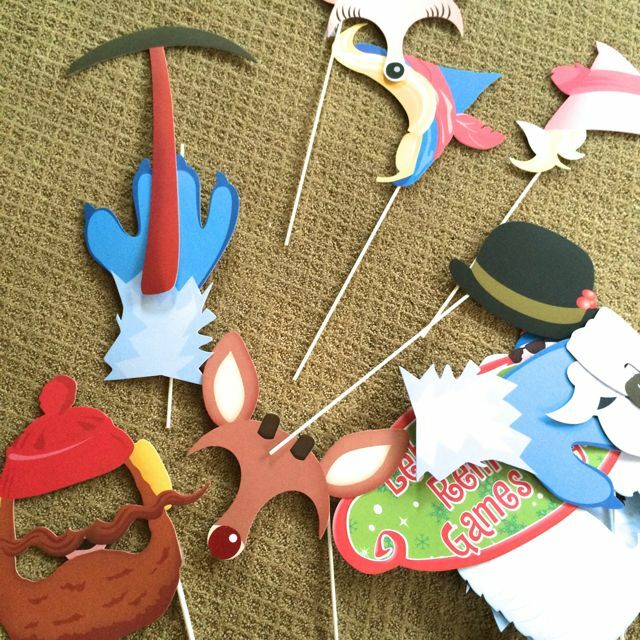 Well thanks to my friends at Hallmark I am sharing tips for a holiday party photo booth , featuring no other than the friends of Rudolph the Red-nosed Reindeer. 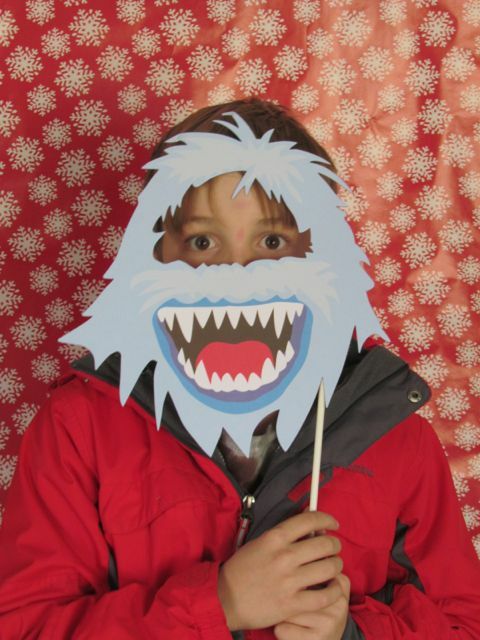 By the way this was first tested out at an adult holiday party, photo booths are great for all ages. 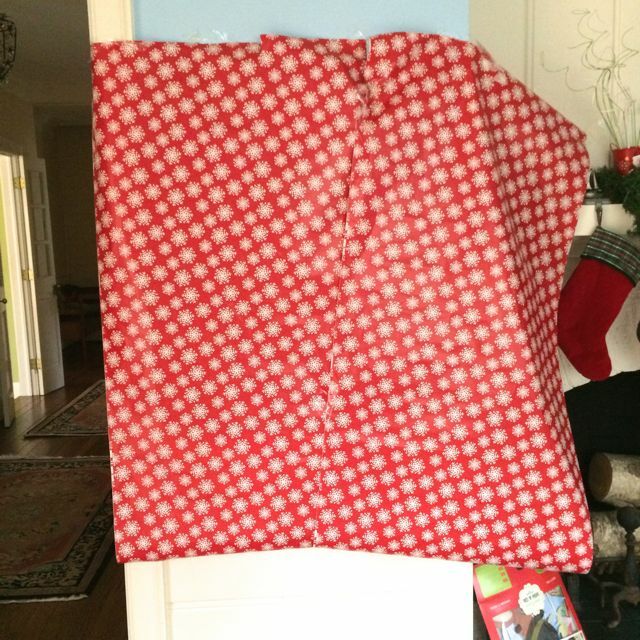 Use a blanket, shower curtain or wrapping paper to create a back drop for your pictures. The Christmas tree is also a great focal point if you are using this at a holiday party. 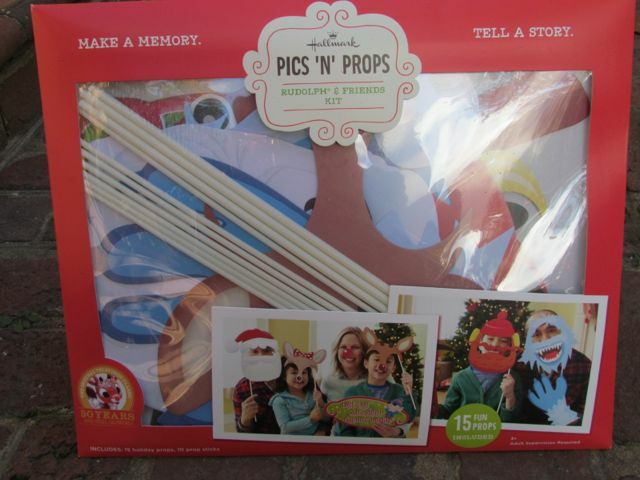 Pick up Rudolph & Friends Pics ‘n’ Props Kit from Hallmark. Capture holiday memories with memorable photos using these 15 holiday props, including Rudolph with a glittery red nose. To encourage participation, I asked each guest to take on shot with someone they knew and another shot with someone they just met at the party. I thought it was a great ice breaker. Take a lot of photos and share them to your guests via photo bucket or snappish so they can download and print them on their own. There are other great new Rudolph products from Hallmark as well. While Rudolph is a treat for families every year Hallmark’s hoping to spread the cheer Rudolph brings a bit further this year by partnering with Toys for Tots. People can get involved in a couple of ways (now through Christmas Eve). “Buy a Buddy, Give a Buddy.” Each time a customer buys an Interactive Story Buddy® at a Hallmark Gold Crown store, Hallmark will donate an Interactive Story Buddy to Toys for Tots. 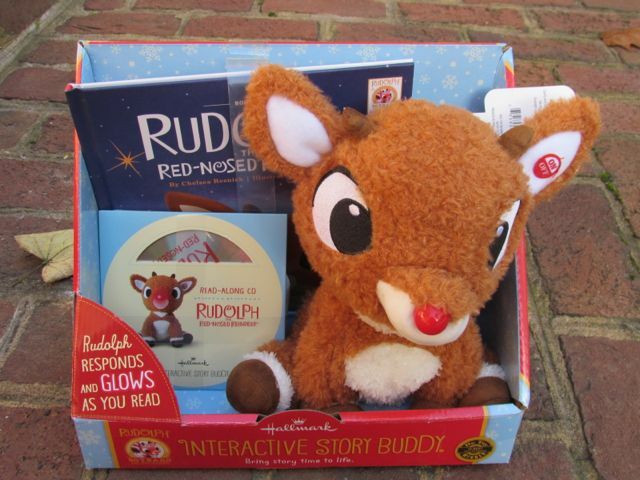 Rudolph the Red-Nosed Reindeer Interactive Storybuddy: Hear Rudolph come to life as you read key words aloud from his books, read-along CD and more. Rudolph the Red-Nosed Reindeer 50th Anniversary itty bittys also give shoppers a small way to make a big difference. Hallmark will donate $1 to Toys for Tots each time one of the Rudolph, Santa Claus, Clarice or Bumble itty bittys is purchased. Close to Home is also helping one reader celebrate the 5oth Anniversary of Rudolph the Red-Nosed Reindeer. 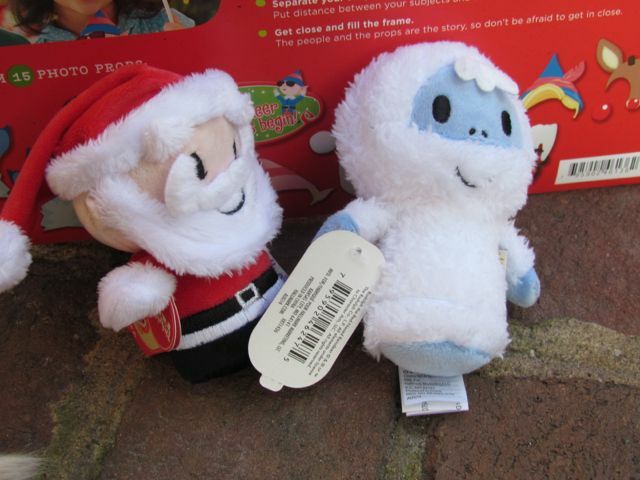 One lucky reader will win w a Rudolph Interactive Storybuddy and a set of Santa and Bumble itty bittys. Enter the Rafflecopter below. Love this! Rudolph is adorable! I always liked Rudolph the best!